My work with Play With A Legend consists of interviewing different footballers each week, and last week the company arranged an event with ex-Manchester United player Clayton Blackmore. Obviously the entire interview needs to be spread out but Blackmore took some time out to answer a few questions exclusive to Stretty News. 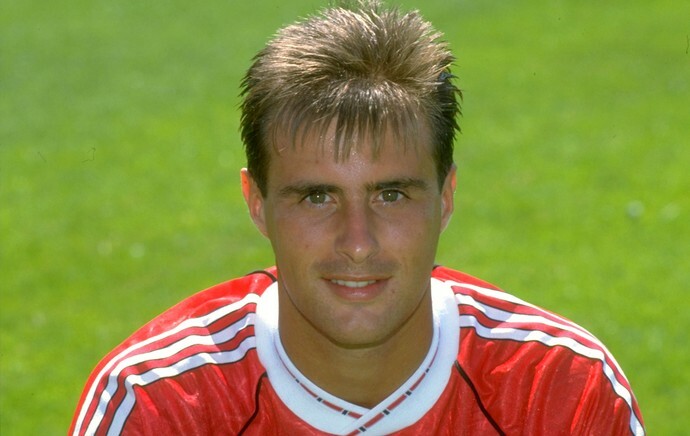 Dale O’Donnell: You came through the Manchester United academy, won the club’s first league title in 26-years and played a key role in the UEFA Cup Winners’ Cup triumph in ’91. What was the best moment from your time at United? Dale O’Donnell: Who was the best player during your time at Manchester United? Clayton Blackmore: “It would be a young Ryan Giggs. Pound for pound Robson and Hughes; there was nobody better than them. Then obviously the list goes on with Roy Keanes, you got your Eric Cantonas. Then defensively, you’ve got some top players but because they don’t score goals they’re never brought into these sort of categories of best players. Dale O’Donnell: Fans fondly recall how you prevented Michael Laudrup scoring and equaliser in Rotterdam. Did you know much about the block? Clayton Blackmore: “Yeah. It hit my foot. “Yeah, obviously I’ve played in every position. At that time I think [Steve] Bruce had given away the ball, and my instinct was to go back towards the goalkeeper. We knew Les [Sealey] had a bad knee injury at the time and I got myself back in behind in and luckily it was the right spot. Dale O’Donnell: We see players come and go with versatility. For you, was it a hindrance? Clayton Blackmore: “It might have been for me. My best season was at left back. I played there all season in 91’ when we won the Cup Winners’ Cup and we went on to win the Super Cup as well which was probably the best season I had at the club. But, you know, I enjoyed in all the positions I played in. Dreamt of playing football with your childhood hero? Well, now you can! Play with a Legend, brings together football fans and their idols for a memorable football game and a post match pint where you can hear tales from the dressing room. It’s perfect for a stag, birthday, corporate or charity event and with over 80 former professionals involved, there’s sure to be someone you’d like to play alongside.